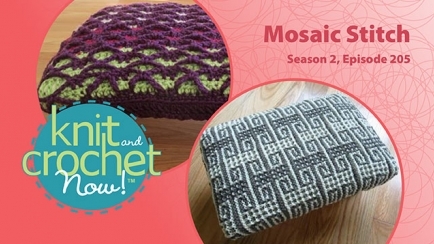 We have had many requests for the mosaic stitch and today we show you both knit and crochet footstools using this unique stitch. 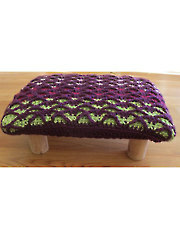 Our knit foot stool is by Judy Lamb and the crochet footstool is by Robyn Chachula. 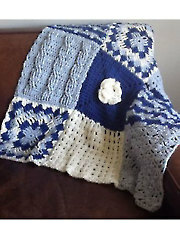 Square of the week is crochet “Bar Relief Rose” and on the tip segment we will show you how to read a crochet chart. 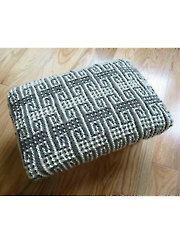 I love mosaic stitches and like to work them.